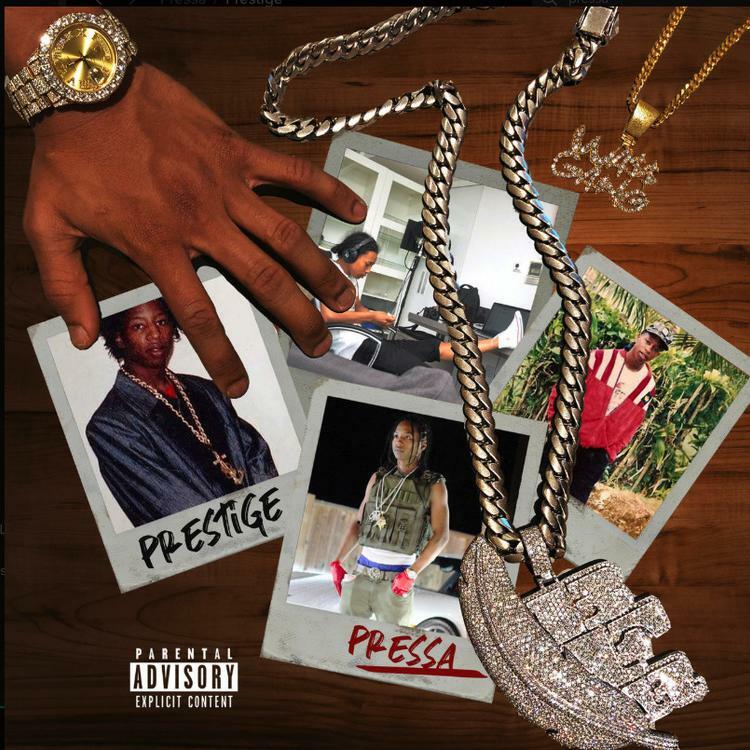 Home>New Mixtapes>Pressa Mixtapes> Toronto's Pressa Releases New Project "Prestige"
Pressa's been one of the most exciting artists out of Toronto in the past few years. The rapper made waves throughout the city which eventually caught the attention of some of the biggest names in the city. He's currently on tour with Drake and Tory Lanez in Europe, wrapping up the final dates on the "Assassination Vacation" tour. After releasing his two mixtapes, Pressa Brick and Press Machine, he has now come through with his debut studio album, Prestige. Laced up with sixteen tracks, Press's debut album is held down entirely with the exception of two songs. Fellow Toronto native and long-time collaborator, Burna Bandz joins Pressa on "Going Thru It" while rising Atlanta star, Lil Rachie, joins the Toronto rapper on "Beam Jawn." Stream Pressa's new album below. MIXTAPES Toronto's Pressa Releases New Project "Prestige"